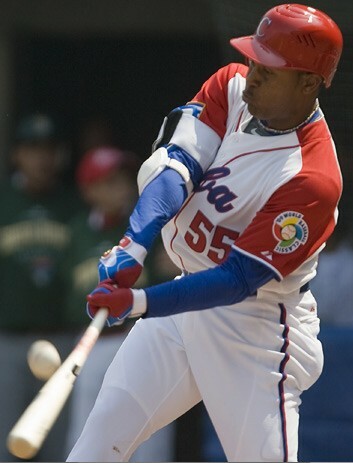 Born February 22, 1977 in Havana, Cuba, Alexander Mayeta Kerr is a firstbaseman with the Havana Industriales. Beginning his career with the lowly basement-dwelling Metropolitanos, Mayeta was a late bloomer and didn’t become successful until he joined the Industriales. 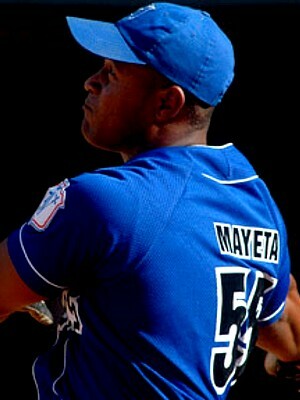 At age 28, Mayeta was awarded the Cuban National Series MVP award. In the offseason, Mayeta began to make a name for himself on the international stage. 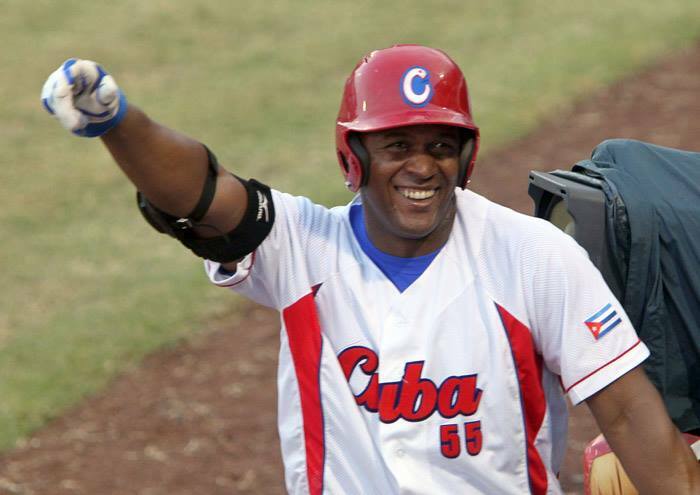 In the Central American and Caribbean Games, Mayeta hit .483/.452/.759 to lead Cuba to Gold. He led all players with 11 RBI. In the Olympic baseball qualifiers, He hit .333/.436/.727 with 4 homers, 9 runs and 13 RBI in 9 games to secure a sport for the 2008 Olympics in Beijing. 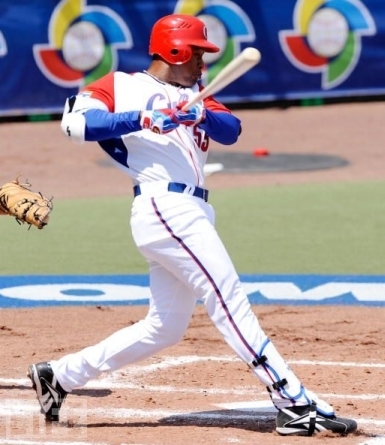 In the 2007 Pan American Games, Mayeta had two of Cuba’s 3 RBI in their Gold Medal game win over Team USA after previously homering twice against Mexico, the Bronze Medal co-winner. He hit .278/.381/.667 in the event, leading in home runs (2) and placing second in RBI. The Industriales possess a powerhouse lineup of big league caliber talent headlined by the “great Mayeta”, Alexander Mayeta. The first base slugger is the perennial superstar who at 31 years of age possesses a swing as powerful as Barry Bonds and a babyfaced smile as captivating and heartwarming as Denzel Washington’s. His affable and approachable personality make him seem more of an friend you’d hang out with throwing back mojitos and puffing on Cohibas at La Floridita than the man with the intimidating presence on the diamond. In his storied career, Mayeta has put up Hall of Fame type numbers that rival the best in the United States major leagues. 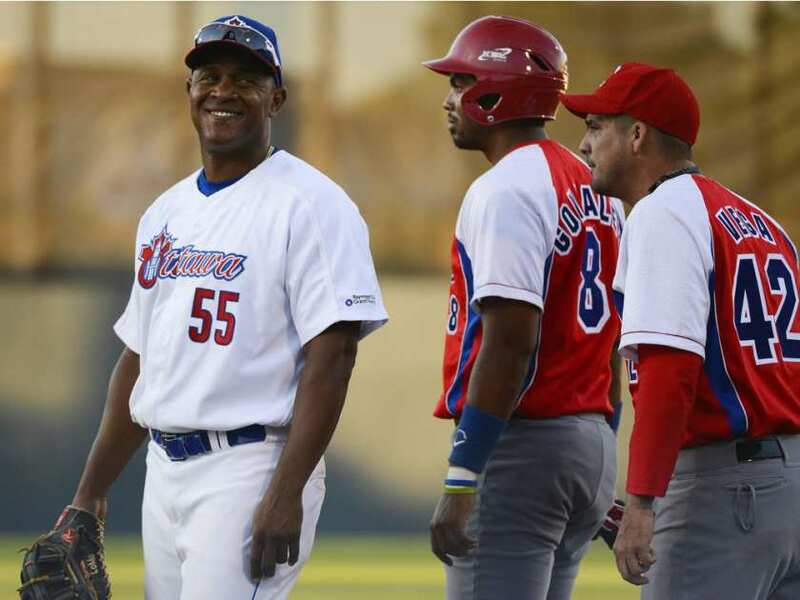 After seeing Mayeta and his Industriales play in Cuba, I came home both impressed with his play and the Cuban brand of baseball… and didn’t think a whole lot more about it. Little did I know they were about to go on one of the most memorable playoff runs in Cuban baseball history. 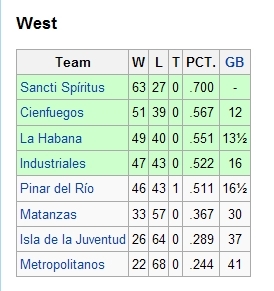 The Industriales squeaked into the playoffs by a half-game thanks to a tie from Pinar Del Rio (yes, there are ties in Cuban baseball). The Industriales were to face heavily favoured Yulieski Gourriel and the Sancti Spiritus team in the first round. The Industriales were expected to make a quick exit. But something happened in that series that turned the tides. Of course, I am talking about a bench-clearing brawl, one of the ugliest in history. The brawl eventually required police intervention, and apparently, the local authorities in Sancti Spiritus took liberties with the Industriales, roughing them up a little too much. 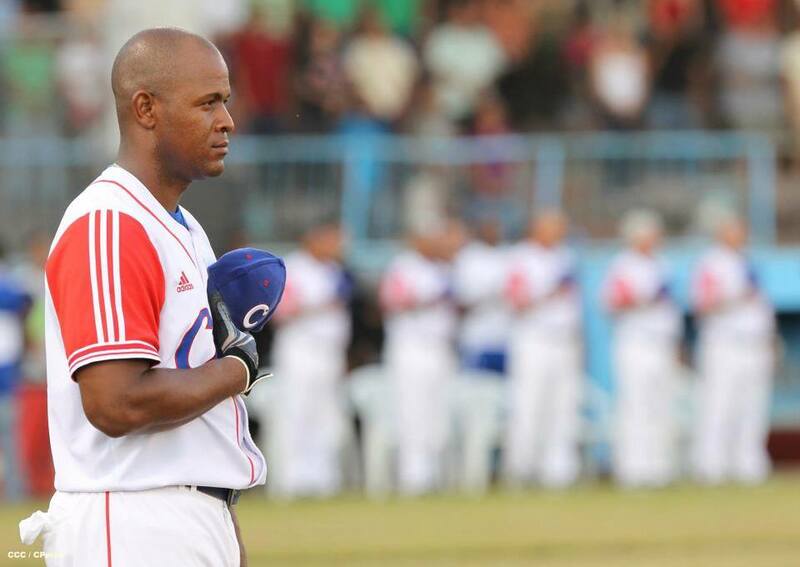 Alex Mayeta reportedly received several blows to the head from the overly-enthusiastic Sancti Spiritus policia. That only served to awaken the sleeping Leones, and in particular, the Great Mayeta. The next game Mayeta went 4-for-4 with 3 crucial RBI as well as a game-changing home run that sparked a sixth-inning five-run uprising. That moved the series back to Havana where 40,000+ packed Estadio Latinoamericano. Mayeta led the way by slugging over .700 and the Industriales were able to overcome the heavily-favoured Sancti Spiritus team 4 games to 1. 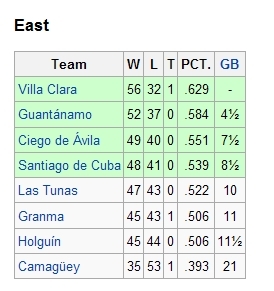 They then went on to beat Havana province 4 games to 1 to meet Ariel Pestano and his Villa Clara Orangemen in the finals. It was a back-and-forth series but the Industriales came out on top 4 games to 3 thanks to a solo home run in the deciding game 7 from the Great Mayeta. He also contributed a timely grand slam in game 5. 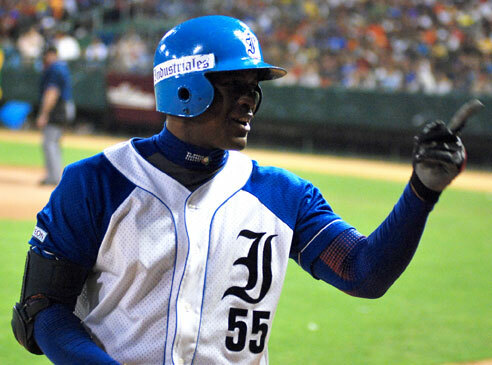 Alexander Mayeta was awarded the 2009/2010 postseason MVP, the second of his career, becoming only the third Cuban player in history to have 2 postseason MVP awards. He led all players in hits and slugging. 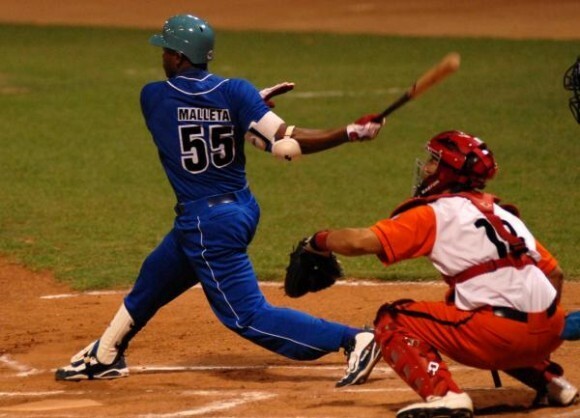 Mayeta most recently played for the gold medal winning Cuban team at the IBAF Intercontinental Cup. He hit .417 in the series with flawless defense. He was on the 2009 World Baseball Classic roster for Cuba, and although ineffective, we may see him again manning first base in the 2013 iteration.